Will this Zeppelin Concept enter the TVS production line? 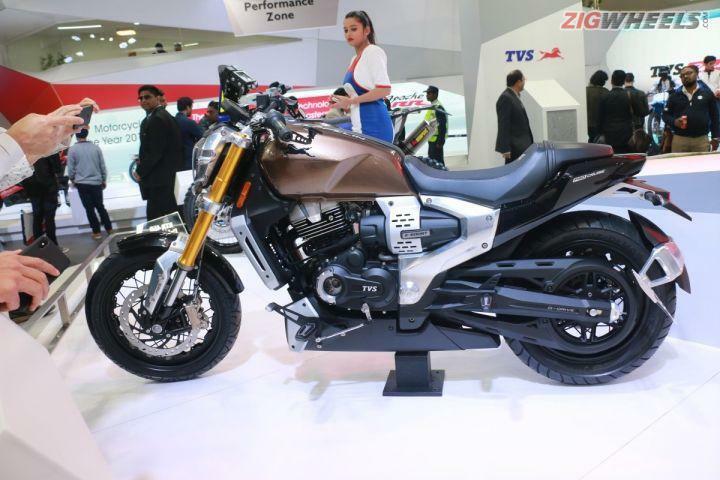 Motorcycle manufacturers from India now look more bold in offering their hybrid motorbike models. At least it can be seen on TVS, one of India's leading motorcycle manufacturers who some time ago presented a hybrid motorcycle concept named TVS Zeppelin Concept. Although not the first hybrid motorbike in the world, but the design of this motorcycle can make more people look stunned. From its appearance, the Zeppelin Concept looks like emits a fierce aura with an elegant cruiser design. On this motorcycle, there's a one-cylinder engine with a capacity of 220 cc is with a power of 20 hp. Indeed, the power produced by those engine is not big. And it seems, its nice body design becomes the only priority of the hybrid concept. 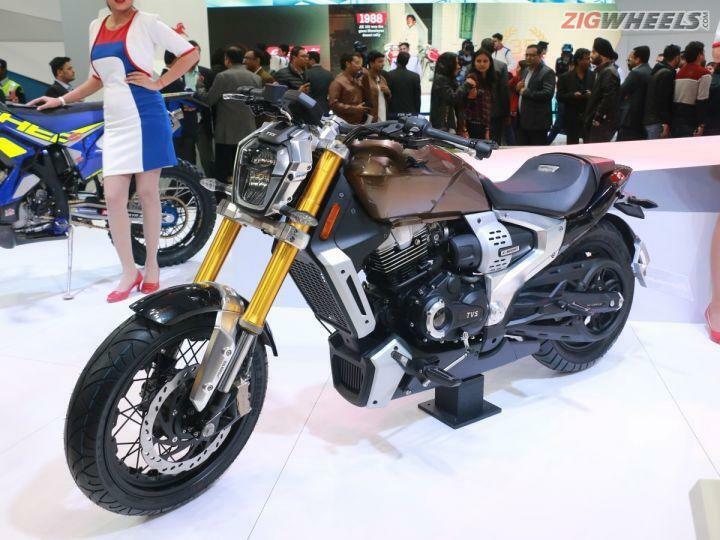 On this motorcycle concept there's also an HD-Camera features that is pinned next to the headlight. This camera has a function to record all activities of motorcycle users while on trips with this motorcycle. At first glance the body shape does look stiff, but at the same time it also impresses as a dashing motorcycle, even giving the impression of a motorcycle with a distinctive European design. 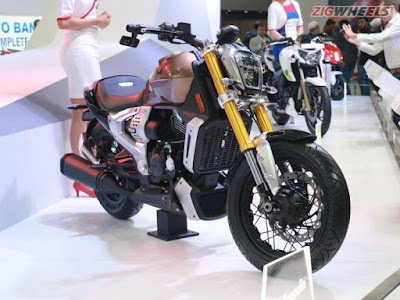 Because this is a hybrid motorbike, so the TVS Zeppelin Concept also has a 1,200W electric motor, and equiped a lithium-ion battery with a capacity of 48V. But the battery is only able to produce power of 1.6 hp. However, at least this Zeppelin can be an innovative hybrid motorcycle owned by TVS. And the company even reportedly plans to produce its first hybrid motorcycle in the next few years. 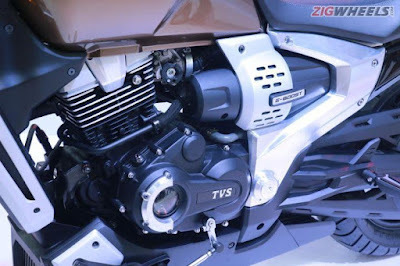 And this can be one proof of the continuous research and development carried out by TVS. Some important steps has been carried out by TVS which turned out to be able to boost the popularity of those Indian automotive manufacturer. Also a few years back, where TVS announced their partnership with BMW Motorrad. So since then there has been a massive evolution on their products, especially for designs that are its main distinctive features. It can be seen when TVS launched with fully confidence one of their flagship products, Apache RR310. And at the same time, BMW Motorrad also has a BMW G 310R variant which is the lowest line-up so it can reach the lower middle segment.